At the plenary sitting on Wednesday, the Riigikogu discussed proposals concerning the state budget and the organisation of the Defence Forces. The second reading of the State Budget Bill was suspended. Two Bills passed the second reading, and four Bills and one draft Resolution passed the first reading. 60 motions to amend were reviewed in the deliberation of the State Budget Bill. 26 of them had been submitted by the Finance Committee and they were supported by the plenary assembly. Of 34 motions to amend submitted by the Social Democratic Party Faction, seven were partly taken into account. 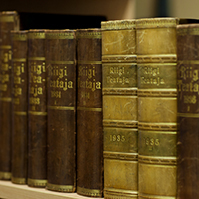 The amendments specified for example the submission of the state budget strategy to the Riigikogu, the specifications of constitutional institutions in the drafting of the budget and the formation of the stabilisation reserve. Also, several corrections specifying and organising the Bill were made. 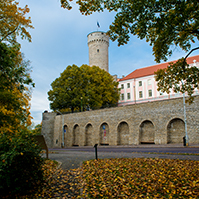 During the legislative proceeding of the Bill, the Constitutional Committee of the Riigikogu has pointed, among other things, to the diminished role of the Riigikogu in the shaping of policies. 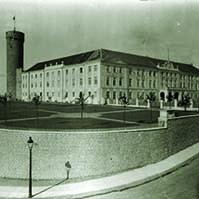 Also, in its letter, the National Audit Office has pointed out the risks that need a principled position of the Riigikogu as regards solutions: changes in the organisation of strategic planning, the purposeful use of the budget, the management of the stabilisation reserve and the financing of local governments from the state budget. On the motion of the Economic Affairs Committee, the second reading was suspended and 23 January is the new term for submission of motions to amend. As concerns strategic planning, the discussion is in progress and the Finance Committee will submit motions to amend in the stage of the continuation of the second reading. There are plans to provide that the fundamental bases of policies are approved by the Riigikogu, and potential changes on the basis of the opinion of the European Central Bank are being prepared. The Finance Committee will also continue the activities towards amendment of the regulations concerning constitutional institutions, the content of the report on the use of the budget and the financing of local governments from the state budget. 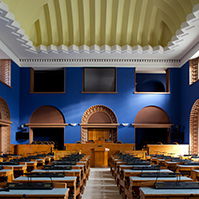 The State Budget Bill (513 SE) provides for the creation of the legal bases and establishment of the basic requirements to ensure the long-term economic and financial sustainability of Estonia. The Bill sets out the requirements and obligations for the budget sphere and determines the definitions and principles of budgeting. The Bill provides for the requirements and procedure for drafting and adopting the state budget, and the use of the state budget funds. The Bill transposes into national law the European Union directive on requirements for budgetary frameworks of the Member States and establishes in Estonian law a “balanced budget rule” and an automatic mechanism to take corrective action provided for in the Treaty on Stability, Coordination and Governance in the Economic and Monetary Union. The Bill on Amendments to the Defence Forces Organisation Act and Amendments to Other Associated Acts (487 SE), initiated by the Government, passed the second reading. It has two aims. One aim is to change the structure of the Defence Forces with a view to realising the changes prescribed in the National Defence Development Plan in order to generate the military capability necessary to defend Estonia. Another aim is to solve the practical problems that have emerged in the implementation of the Chapter concerning the Defence Forces intelligence. The plenary assembly discussed 35 motions to amend submitted by the National Defence Committee. The entry into force of the Act will be postponed until 1 August 2014. The Bill on Amendments to the Taxation Act and Other Associated Acts (507 SE), initiated by the Government, passed the second reading. The aim of the Bill is to improve the quality of and harmonise the administration of the financial claims of the state arising from court proceedings and judgments of the Prosecutor’s Office. Also, to save the accompanying costs. The Draft Code of Misdemeanour Procedure (500 SE), initiated by the Government, passed the first reading. The aim of the Bill is to resolve the principal problems in misdemeanour procedure that have arisen, and to introduce global amendments in misdemeanour procedure that are necessary to speed up and improve the proceedings and to solve the problems that have appeared in the daily work of the bodies conducting proceedings. It is also intended to bring the rules functioning in misdemeanour procedure closer to the regulation concerning criminal procedure in order to harmonise the regulations of the current judicial proceedings, in particular in appeal and cassation procedure. The Minister of Justice Hanno Pevkur who presented the Bill to the Riigikogu said that, among other things, the Bill provides for a more flexible possibility to pay a fine. “As is known, according to the current Act, a fine must be paid within 15 days, and after that the claim is executed. There is a proposal now to extend the term of voluntary payment of a fine and it might depend on the amount of the fine. A fine in the amount of up to 100 fine units must be paid to a bank account in full within 30 days, a fine in the amount of up to 200 fine units must be paid within 60 days and a fine in the amount of up to 300 fine units must be paid within 90 days as of the date when the decision on the misdemeanour enters into force,” the Minister of Justice spoke of an amendment proposed by the Bill. The Bill on Amendments to the Labour Market Services and Benefits Act and the Unemployment Insurance Act (521 SE), initiated by the Government, passed the first reading. With the implementation of the amendments, the procedure for submission of the application for registration as unemployed and the required documents will become more flexible and simple. A person can submit an application for registration as unemployed or a job-seeker either electronically through the website of the Unemployment Insurance Fund or in a local office of the Unemployment Insurance Fund. The Minister of Social Affairs Taavi Rõivas who presented the Bill to the Riigikogu said that, due to the amendment concerning members of the management and controlling bodies of a legal person, the number of persons registered as unemployed may decrease by a maximum of 3000 persons, and, due to the amendment concerning persons caring for a disabled person, the number of unemployed may increase by a maximum of 2000 persons. Member of the Riigikogu Aivar Riisalu took the floor during the debate and expressed criticism of the amendment concerning members of the management and controlling bodies of a legal person. The Bill on Amendments to the Medicinal Products Act (532 SE), initiated by the Government, passed the first reading. It transposes the relevant European Union Directive for better protection of public health. The pharmacovigilance system and the requirements for the functioning of the risk-management system for authorised medicinal products are harmonised. The rules for ascertaining pharmacovigilance risk signs and for the implementation of urgent measures are specified. The Bill harmonises the activities carried out in member states of the European Economic Area and the decision-making process in ensuring pharmacovigilance. The Minister of Social Affairs Taavi Rõivas who presented the Bill to the Riigikogu explained that, under the current Medicinal Products Act, the state requires that a marketing authorisation holder give notice if the marketing of the medicinal product is to be terminated or supply thereof is to be suspended, but in the future the marketing authorisation holder will also have to give reasons for such decision. Rõivas said that, up to now, the reasons have not been required. “At the same time, we cannot exclude a situation where the marketing authorisation holder has suspended or terminated the marketing of a medicinal product in connection with pharmacovigilance problems but the problem has not been addressed due to the absence of the requirement to give reasons,” the Minister of Social Affairs Rõivas continued. The Bill on Amendments to the Health Insurance Act (551 SE), initiated by the Government, passed the first reading. With the bill, the rights relating to the insurance cover of members of the management and controlling bodies of a legal person and persons who receive remuneration or service fees on the basis of a contract for services, authorisation agreement or any other contract under the law of obligations are harmonised with the rights of persons employed on the basis of an employment contract or in public service, and sole proprietors. The Bill harmonises the terms of the contracts required for obtaining the insurance and of the waiting periods of the formation of the insurance cover, and the requirements for making an entry on the insurance cover. In addition, the regulation concerning pharmaceutical price agreements is changed. The conditions for automatic extension of a price agreement and changing a price agreement are specified. The Minister of Social Affairs Taavi Rõivas who presented the Bill to the Riigikogu said that, with the amendment, persons would obtain insurance cover with a contract under the law of obligations for an unspecified term or for a term of more than one month, instead of the current contract for a term of more than three months. Rõivas explained that people with irregular income will only need a contract for a term of one month to obtain health insurance cover. “In the same way, the health insurance cover for members of managing and controlling bodies and persons who work on the basis of a contract under the law of obligations will become valid sooner – so far the waiting period has been three months, but now it will be 14 days,” the Minister added. With the amendment, the number of persons with health insurance will increase and the term of obtaining health insurance will shorten. 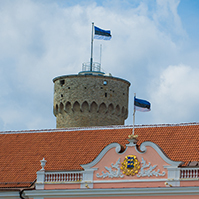 The Draft Resolution of the Riigikogu “Approval of “Fundamentals of the Cultural Policy until 2020”” (553 OE), initiated by the Government, passed the first reading. The fundamentals of the cultural policy until 2020 provide for the aim of the cultural policy of the state. 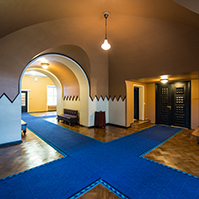 The aim is to build a society which values creativity, to maintain and promote the Estonian national identity, to study, store and carry on cultural memory, and to create favourable conditions for the development of viable, open and diverse cultural space and participation in culture. The cultural policy of the state is guided by the constitutional objective to guarantee the preservation of the Estonian nation, language and culture through the ages. The fundamentals of the cultural policy observe the whole cultural space as an integral chain, starting with new generations and education, professionals and specialists in the cultural field, and ending with amateurs and the public. The draft integrates closely interrelated issues into a unified whole and offers solutions for strengthening the landscape of culture in the coming years. The fundamentals of the cultural policy serve as the basis in the shaping of cultural policy decisions and in the drafting of the strategies and action plans specifying the fundamentals. The Minister of Culture Urve Tiidus presented the fundamentals of the cultural policy until 2020 to the Riigikogu, and Liisa-Ly Pakosta, Jaak Allik, Rein Lang and Mailis Reps took the floor during the debate.